Posts to update everyone on the latest news. 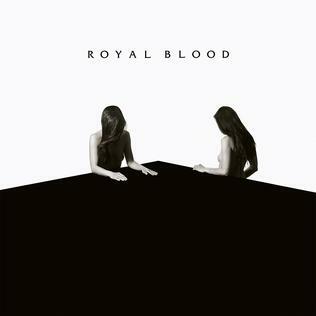 0 Album Review: Royal Blood – How Did We Get So Dark? And now, a few words about each track. In 2017, we get to listen to a GREAT rock album. This means only one thing: that rock isn’t dead..yet! I don’t think we will witness too many more big rock albums like this one, so lets savor it! That is of course, until Royal Blood’s next album! 2017 is upon us and if you are planning your wedding for this fall or winter, you need to book now! To secure your date contact us at jennieandthejets@outlook.com. You can lock down your date with a 25% down payment. We accept any form of payment. We encourage the couples who have had us for their special day to let us know how we did by leaving us a review on TheKnot.com. Just look up “Jennie and the Jets” near New Orleans under wedding bands. Live music from 9 PM – 1 AM. Live music from 10 PM – 2 AM. Come out during Gretna Fest to Rivershack Gretna for their first anniversary event! Live music from 5 PM – 8 PM, at the downstairs, outdoor bar and grill. The Rivershack Tavern in Gretna! Smitty’s After Hours in Kenner!